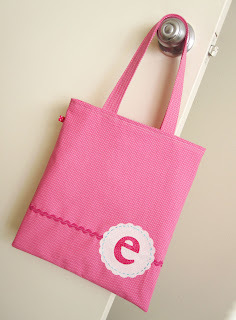 I have been in a tote making phase. 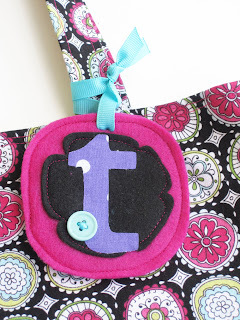 I love totes! 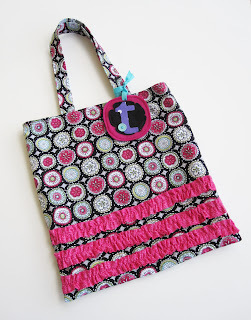 There is nothing like a fun new tote or purse to show off. I just need to make one for me. I can't get enough of this fabric. Yes, you may be thinking it looks familiar. 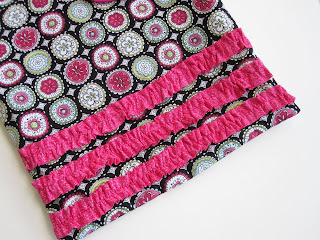 I am loving fuchsia ruffles along the bottom. Boy ones are on the way. I promise. I just had to get the ruffles out of my system.